Hi! Sorry I have not posted for a while. I have been traveling meeting extraordinary technicians from all over. I met with many of you at NAVC in Orlando. Shortly thereafter, I skirted over to WVC in Las Vegas and got hugs from friends and definitely made some new ones! Most recently, I froze my nose off in Toronto at the Ontario Association of Veterinary Technicians Conference. By the way, that is a WONDERFUL conference if you’re looking for good quality CE. Our Canadian colleagues have a fantastic organization. It’s funny…no matter where I go, I feel at home because I am surrounded by so many like-minded individuals. In between those trips, I am still working clinically. That enables me to always have fresh stories and cases to share with you. Today’s surprise came in the form of a lovely little dachshund. This photo shows the image of this dog’s arcade prior to cleaning (Yes, you can do dentistry when there is little tartar!). This is the radiograph of the same area! 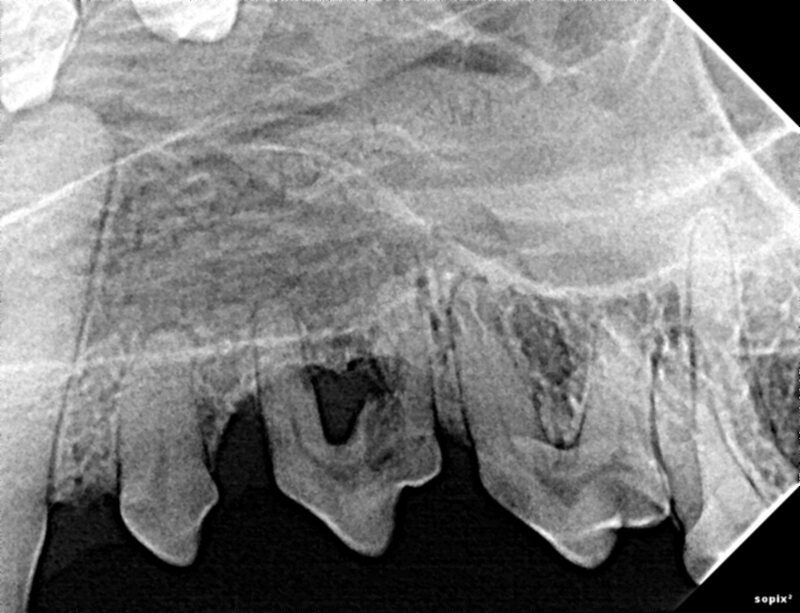 There is about 50% horizontal bone loss overall with the left upper premolar and the X-ray reveals a resorptive lesion on the distal root of the same tooth. Did you expect that from the original clinical impression that you had? I know I was certainly surprised….and grateful. 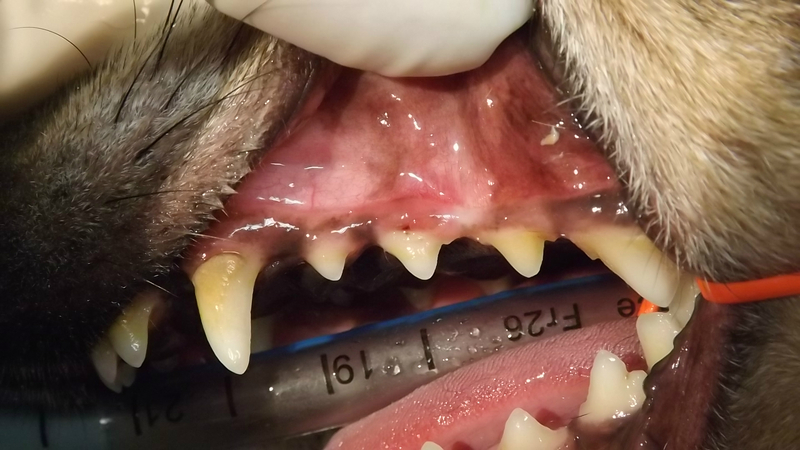 I was grateful that the veterinarian was willing to recommend dentistry for this dog BEFORE there were obvious, overt signs screaming for care. So, ask yourself…would the practice I work in recommend dentistry with this little tartar? If you think they may not, you may want to share this post with them.